Members of the Senate Judiciary Committee will be casting their votes on whether to favorably recommend the confirmation of Brett Kavanaugh to the Supreme Court Friday at 1:30 p.m. ET. The critical decision comes after a combined 8-plus hours of emotionally wrenching testimony from the judge and his accuser Christine Blasey Ford, who is alleging sexual assault by the nominee 36 years ago. PRO: Christine Blasey Ford presented herself as extremely credible. Thurston and Rothmann both found Ford to be completely compelling and genuine in her testimony. Thurston went as far to say that she could find “absolutely no fault” in how Ford presented herself to the committee. Thurston attributed her trust in Ford to the fact that she didn’t seem rehearsed, gave the impression she was making an effort to answer questions correctly and appeared as though she was taking the matter seriously. Even organizations who previously wholeheartedly stood by Kavanagh faltered following her powerful testimony. 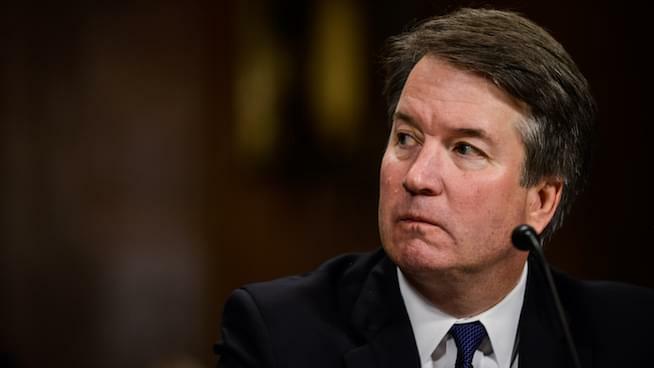 The American Bar Association, who initially gave Kavanaugh its highest ranking and backed his nomination at a separate hearing earlier this month, requested a delay in the confirmation to allow the FBI to investigate the sexual assault allegations that have been brought forth against him. CON: Senators didn’t ask the right questions. Thurston and Rothmann agreed senators, both Democratic and Republican, grandstanded and failed to ask the questions required to uncover the truth. Thurston found it particularly unfortunate that Democrats focused on Ford’s bravery in sharing her story as opposed to narrowing in and inquiring about her allegations. In addition, she was disappointed Democrats did not leverage “the treasure trove of information” available, such as Mark Judge’s book and the writing in Kavanaugh’s yearbook. The two were both of the mindset Republicans were not tough enough on Kavanaugh. PRO: The female prosecutor brought in on the behalf of GOP senators sought the truth. CON: Double standards were present. Thurston was less than impressed by Kavanaugh’s performance. She described it as obnoxious, hostile, unhinged and the opposite of judicial temperament. She was appalled the nominee was permitted to turn his anger on senators — repeatedly interrupting and yelling over them in outbursts — noting “there would have been hell to pay” if Ford had come anywhere near to demonstrating the same behavior. Instead, Kavanaugh was illustrated by his supporters as a champion of conservative ideals and a fighter. Rothmann agreed with Thurston, but said ultimately Kavanaugh’s approach worked in achieving his objectives, which he believes were primarily to assure Republicans on the committee of his loyalty and win over Trump’s base.